You’ll be the talk of the team in the stylish and classic Team Dry Polo. In the tradition of Canterbury’s commitment to cutting-edge fabric technologies, this polo integrates our very own Vapodri thermoregulation materials that keep you comfortable, cooler, and drier during training. Whether you’re on the field for a game, hitting the gym, or enjoying a day out in the hot sun, the polo provides freedom of movement as well as breathability and rapid sweat evaporation. You’ll look great too, with the attractive polyester mesh back, ribbed collar with two-button placket, and contrast synthetic piping. 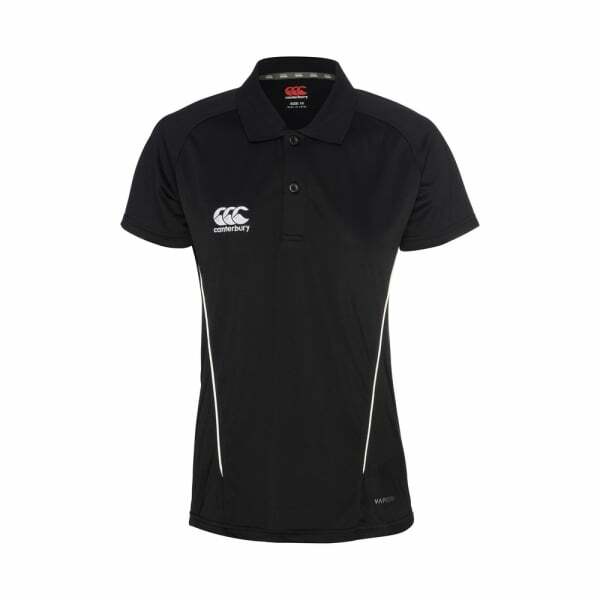 Together with the embroidered branding, this classic and trendy polo is perfect for training as well as anything else that your day holds.